In the spirt of sharing holiday cheer with friends, The Weekly Bauble you see before you also has friends… very fancy ones! 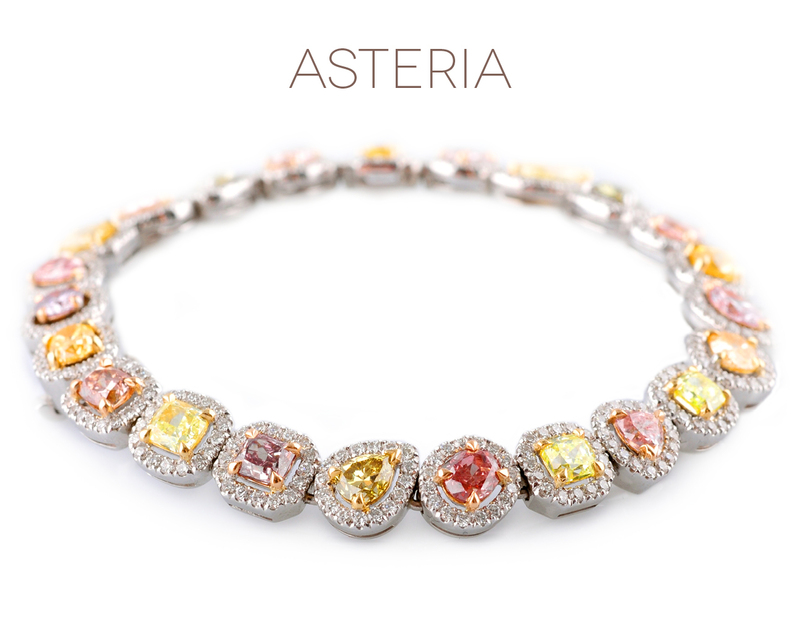 First, I wish to introduce an incredibly alluring multi-colored diamond bracelet from Asteria, comprised of 23 fancy colored diamonds and cut in an array of shapes. Each focal stone is GIA certified and set in a pave halo of round brilliant D diamonds in 24 karat gold. With regard to those aforementioned friends, the bracelet can be further complimented with a similarly magnificent necklace and ring, to complete the look. Price of bracelet and further details of necklace and ring are available upon request. Kindly email beautifulcurious@gmail.com with any inquires. Our Bauble this week is about to change the meaning of “the winter blues”! 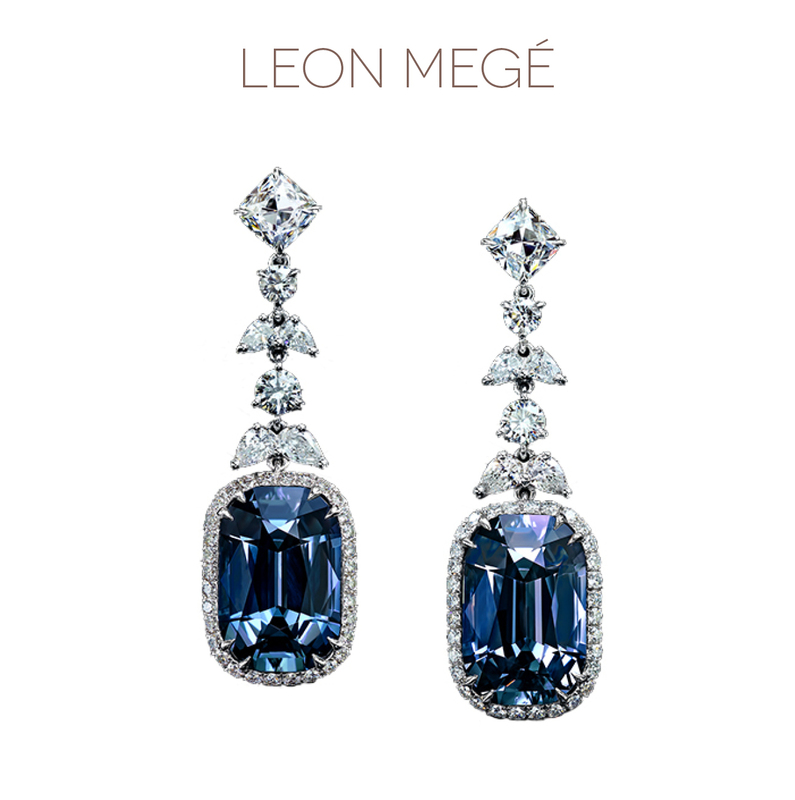 This is all thanks to Leon Megé, who knows how to drop a pair of sapphires beneath a few diamond friends. Even more wonderfully unusual is that these sapphires have that unique color changing ability, akin to a certain steely blue-hued stunner, the Hope Diamond. Ideally matched, the stones are cut with a perfection unheard of in a pair of high grade natural unheated sapphires. 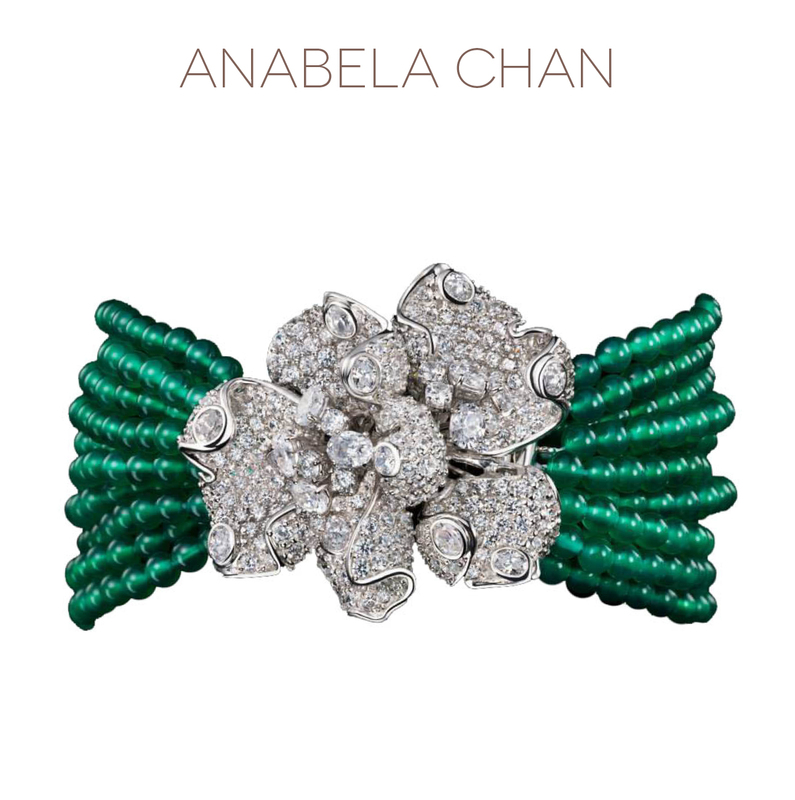 The antique cushion, pear, and round diamonds from which they dangle are eloquently arranged and beautifully balanced. If I am not mistaken, these baubles give reason to celebrate the winter blues! 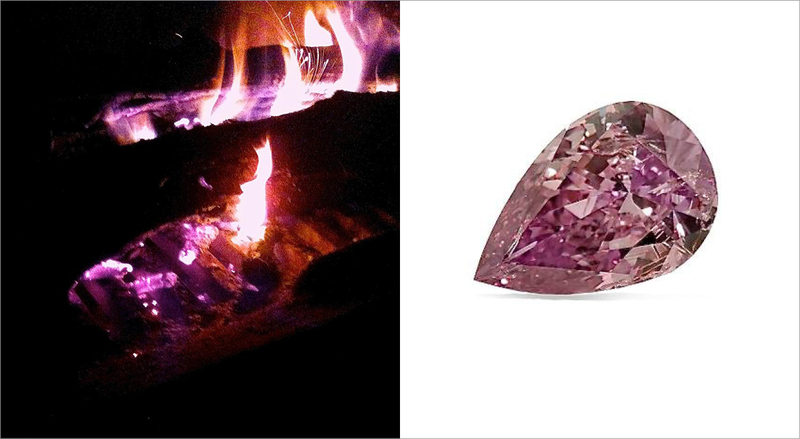 The Weekly Bauble this week features diamonds of a dynamically different color! 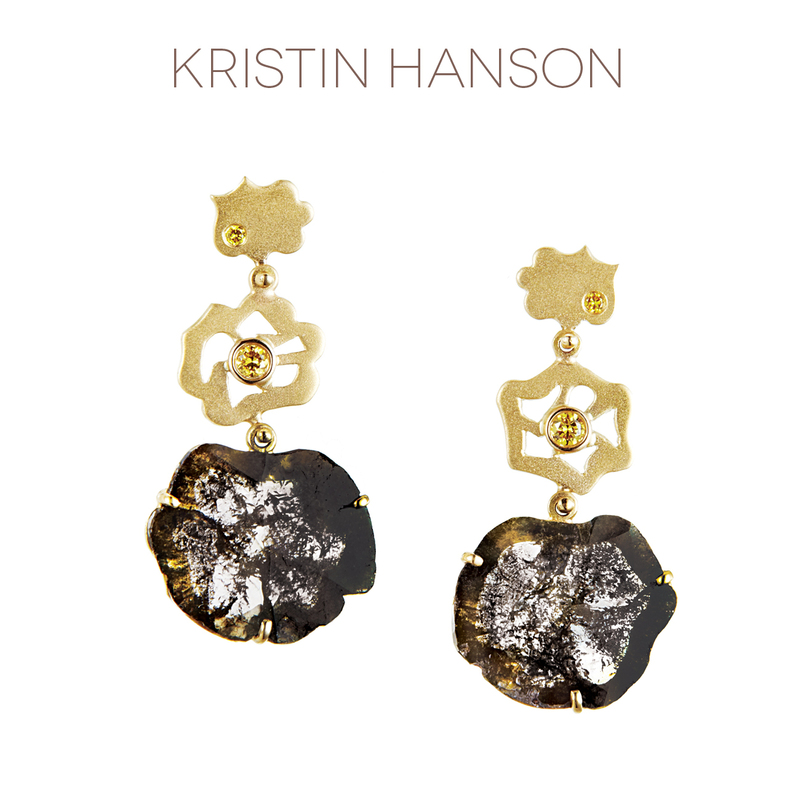 Handcrafted by the wonderful Kristin Hanson, these striking Slice Diamond River Earrings are inspired by the rough majestic landscape of dark waters and rock formations. 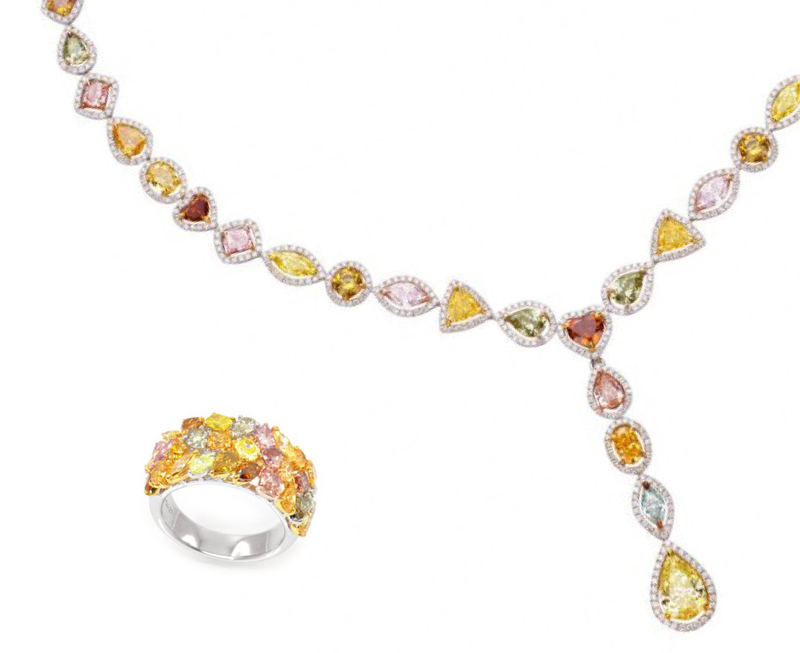 The focus of Kristin’s couture jewelry is centered around conflict-free natural colored diamonds. 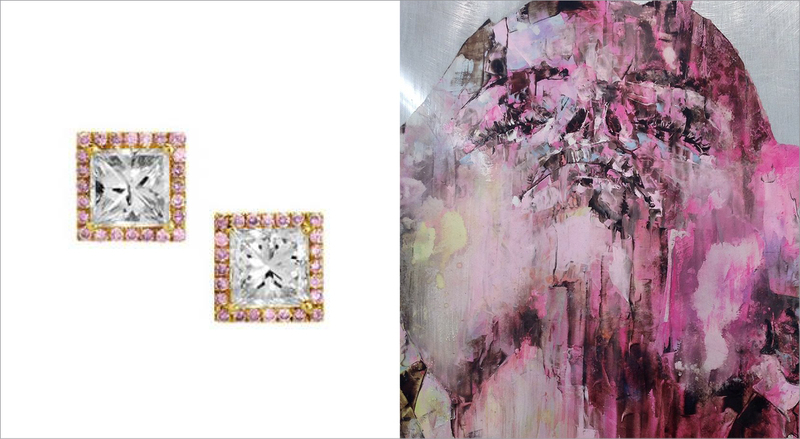 Her life-inspired pieces celebrate the innate beauty of such rare stones, while bridging fine art and fine jewelry. 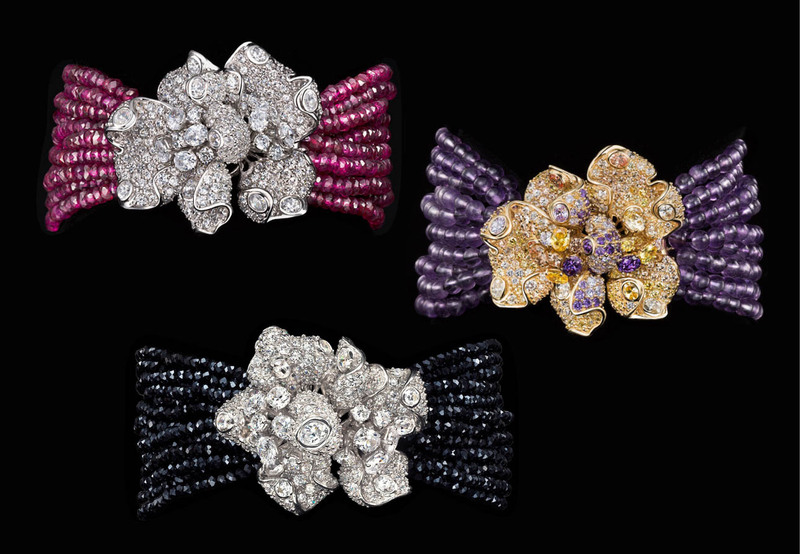 More of her unique creations can be discovered on her website and via #coreofluxury. Kindly email beautifulcurious@gmail.com with inquires and below are a few more inspired baubles that are certain to have you equally smitten! 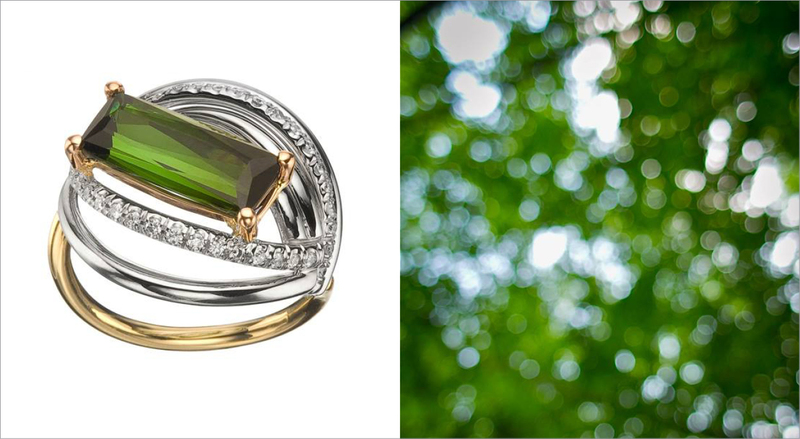 As a chill takes hold of the air, a bauble reminiscent of a warm, treasured escape would be well-timed. The Weekly Bauble I share today is just that! 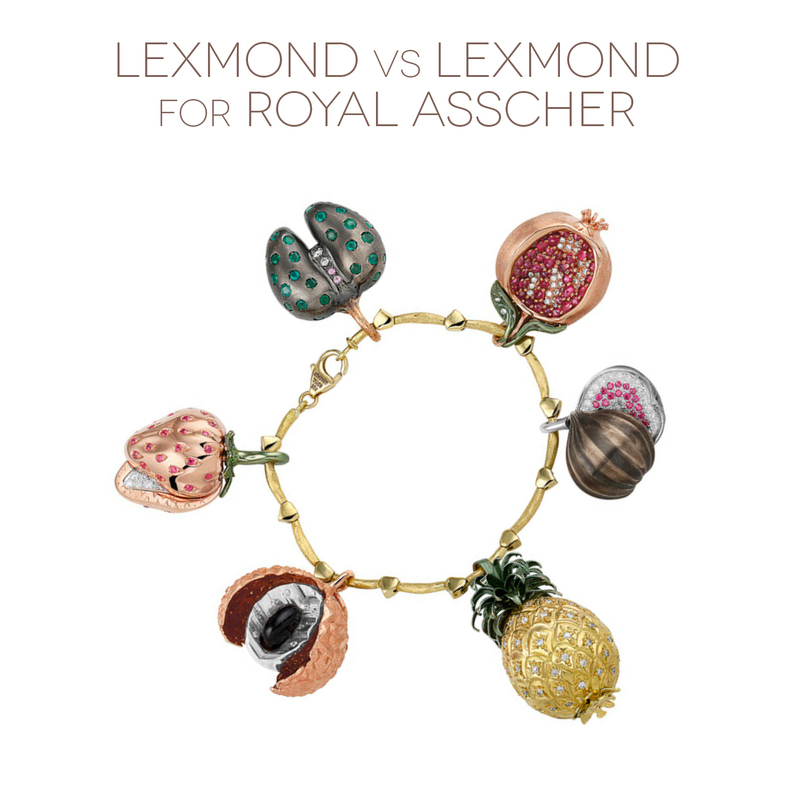 This charming bracelet of bejeweled, ripe, flowering fruit is one piece among a collection by Lexmond vs Lexmond for Royal Asscher. Of course Royal Asscher is a much celebrated jewelry house and “Lexmond vs Lexmond” refers to the talented sisters, Jetteke and Lieke van Lexmond of Amsterdam – one, a fashion editor and the other a TV personality. During a trip to the Seychelles, the sisters were inspired by the lush vegetation unique to this archipelago, including Coco de Mer. These rare, flowering fruits have been beautifully reimagined, to burst with bountiful color and sparkle with life. At the heart of this joyful collection is an appreciation and celebration of the bond that women share. The Weekly Bauble that I share today is uniquely beautiful inside and out! 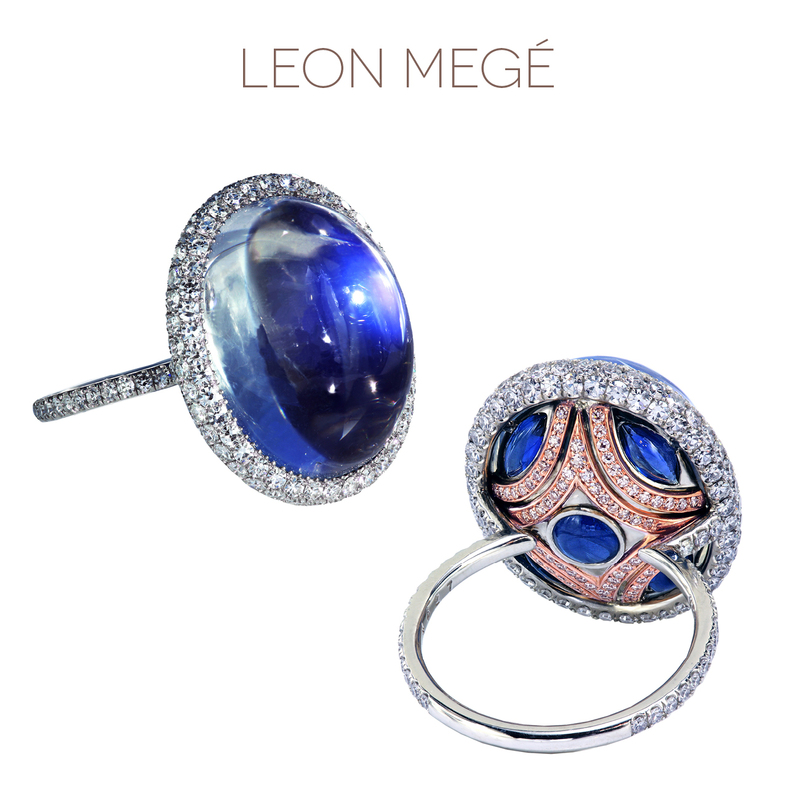 Leon Megé‘s luminous moonstone ring literally glows from within by way of five custom cut sapphire cabochons set in a platinum and rose gold patterned cup. This diamond encrusted cradle is a special secret treasure – one that is meant only for the eyes of the lovely lady who has the pleasure of wearing it. It is this delicate and airy aesthetic that defines Leon’s elegant forms. His approach to celebrating stones through limited use of precious metal, employing centuries-old European techniques, and philosophy of minimalism and precision characterize his signature. This beautiful bauble certainly has captured these curious eyes!